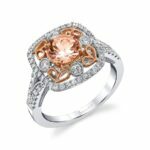 This unique, special-edition engagement ring features a 1 carat round brilliant morganite center surrounded by four lustrous diamonds and rose-gold heart shaped filigree to celebrate love. 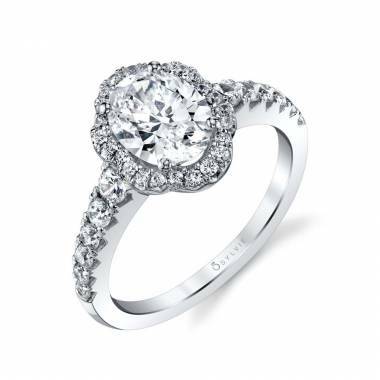 The ring is completed with a second shimmering diamond halo on the outside. 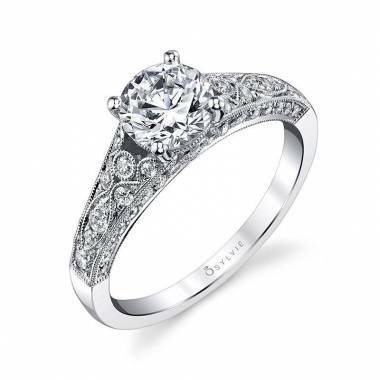 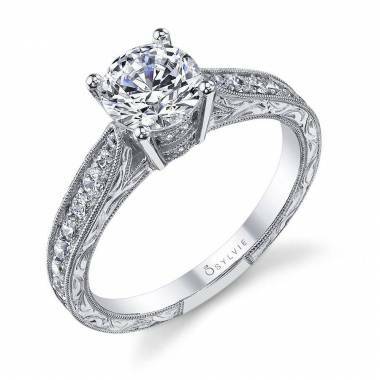 The diamond encrusted split shank adds an even more exciting display to this stunning and one-of-a-kind ring. 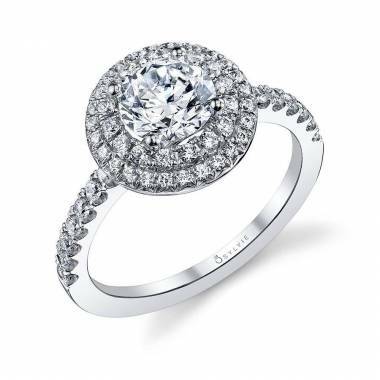 The total weight of this ring is 1.39 carats.